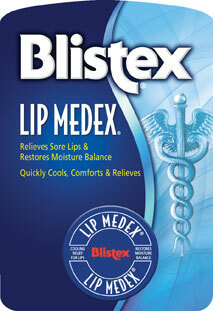 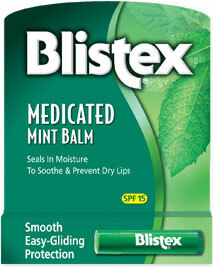 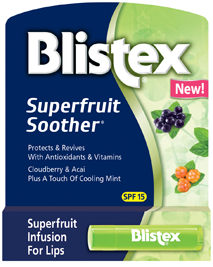 Bliss Flip Press Release | Blistex, Inc.
Ready, Set…Flip! 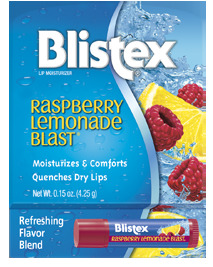 Everyone is about to flip over this new lip care product. 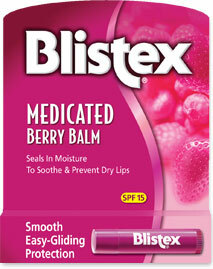 Finally, there’s a fun-to-use lip balm that’s also good for your lips. 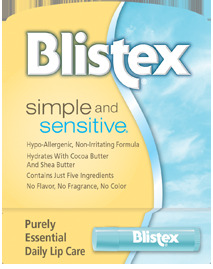 OAK BROOK, Ill., June 14, 2016 –New Blistex Bliss Flip is top quality lip care that comes in a unique and easy to use package. 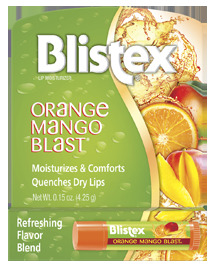 Featuring a flip top cap that rotates under the package and stays attached, the lip balm itself comes in two extremely effective formulas, Soft & Silky and Ultra-Moisturizing. 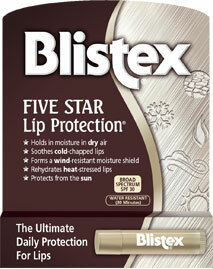 The new formulas deliver some of the most important benefits in lip care. 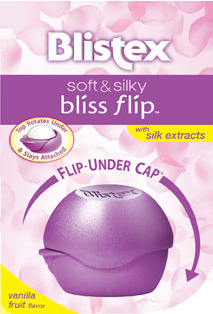 The Soft & Silky Bliss Flip is a satiny blend packed with conditioners and silk extracts for super soft lips with a hint of shine. 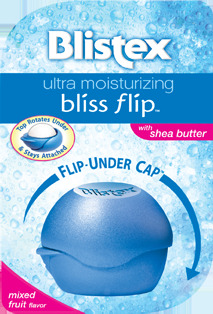 The Ultra-Moisturizing Bliss Flip is a creamy blend loaded with shea butter and other proven moisturizers for healthy, supple lips. 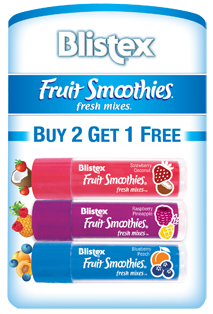 These lush formulas are formed into a dome-shaped balm that glides smoothly across your lips, providing quick, complete coverage… it takes only a swipe or two to leave your lips feeling great! 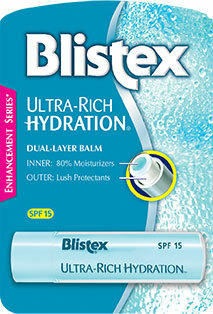 This breakthrough package features a unique flip-under cap that locks into place, allowing easy application and preventing lost caps. 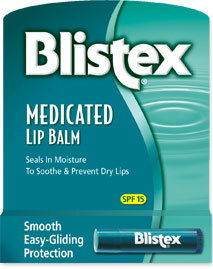 After applying, simply slide the cap back and snap it closed. 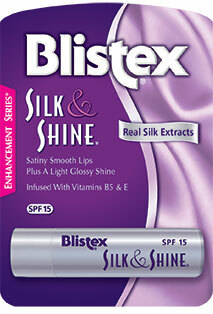 Don’t be surprised if you find yourself playing with it, snapping it open and closed, again and again. 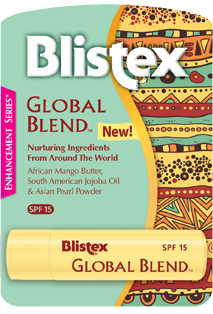 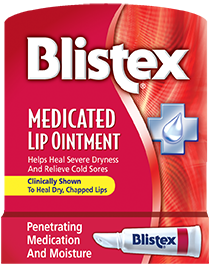 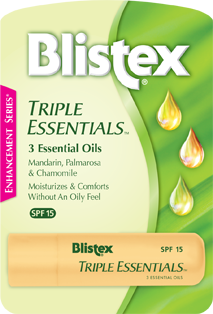 Blistex Bliss Flip (Soft & Silk or Ultra-Moisturizing) has an expected retail price of $3.99, and will be available in drug stores, supermarkets and mass merchandisers nationwide in October, 2016.